The Seleccion Robustos is a travel humidor containing 5 of the most acclaimed Robustos from Cuba and is a travel retail market exclusive. 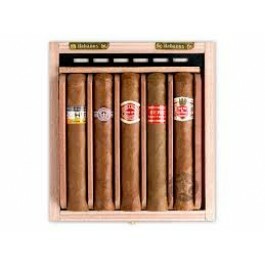 Perfect presentation box of 5 famous Habanos brands: Cohiba, Montecristo, Romeo y Julieta, Partagás y Hoyo de Monterrey. It is a special release for travel retail market. 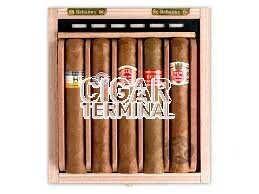 The case comes with a humidifier, which can also be used as Travel humidor.